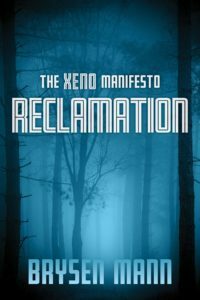 The Xeno Manifesto – Reclamation is now available!! Deputy Frank Smirnov wants a peaceful life but fate has chosen a different path. He could never have imagined a course that not only gives him insight to his past but to the true origins of the human race. NSA Agent Zachariah Allmass’ job is to eliminate those who know too much, and those “Beings” with powers untold that have elected to remain hidden for all these millenniums, now possess evidence he needs for his true employer, the Committee. But Allmass has an agenda of his own. Meanwhile, Roman Petrov is a violent man who puts his retirement on temporary hiatus after being left with collateral damage that leaves him no choice but to eliminate the “thorn in his side”. When these men’s worlds collide, secrets that were never meant to be exposed will shake the very foundation of mankind’s existence. 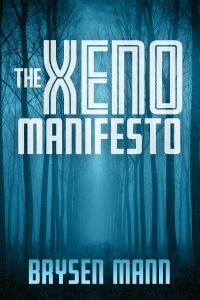 Frank Petrov is at a loss…what more is expected of him and how can one man possibly matter? And to make things more complicated, two determined women have decided to enter the picture. It turns out Willow is not what she appeared to be and now seems set on his salvation. The other one, Rajeena who has assumed the reins from the Committee, is planning his destruction. The pressure is mounting and time is running out. He’s not sure where it’ll all lead but everyone wants what they believe is rightfully theirs; including Zachariah Allmass but there’s only so much to go around. As Frank’s story continues to be revealed, the more the face of reality is changing. The mystery the world never knew existed is being exposed for all to see, it can’t be hidden any longer.